Radio Archives had a sale last week, and I picked up about half a dozen Hubbard fantasy collectons for a buck each. 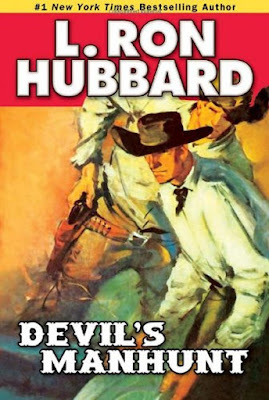 I've not read Hubbard, partly due to his reputatuon after he founded Scientology and the reviews of Battlefield Earth, which came out when I was in high school. Plus I heard L. Sprague de Camp tell some unflattering stories about him from WWII. I have to wonder how much Scientology has affected his reputation as a writer. I know David Drake likes his pulp sf, but I'm not aware of many others who have even read him. 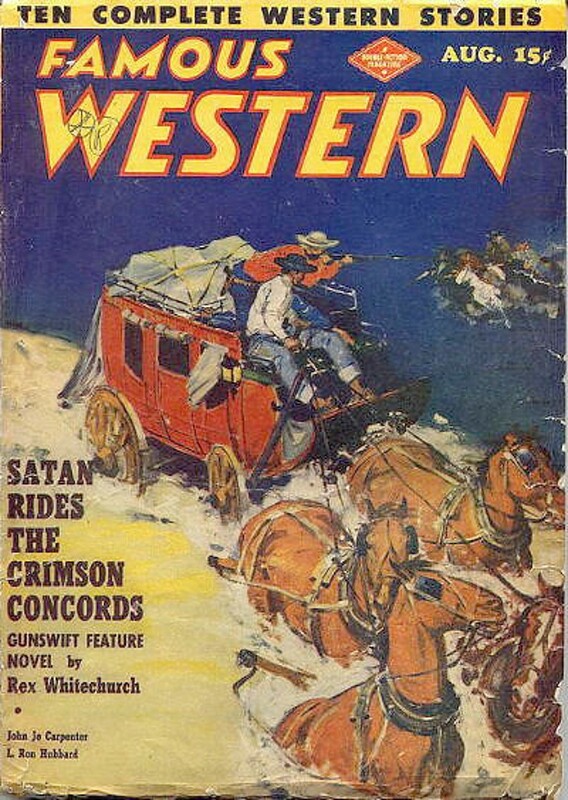 I enjoy Hubbard's pulp stories, especially the Westerns and adventure stories and some of his SF and fantasy, but I don't have any interest in the Scientology stuff or the later doorstop-sized SF novels he wrote. All the controversy surrounding him kept me from posting about or even reading his pulp stories for a while, but I've got a big pile of the reprints and probably will continue working my way through them. I've felt the same way about Hubbard. The more I read about him off the page, the less I like what I read about him. But I shouldn't let that cloud reading his fiction - at least, his pulp fiction. One of his titles, FINAL BLACKOUT, even appeared on Karl Edward Wagner's favorite horror (scifi horror) novels list back in 1983 (Twilight Zone magazine.) So, I at least want to read that, for a start. I just bought a dozen L. Ron Hubburd audio books (www.goldenagestories.com) at a Library Book Sale. I'll have to check and see if DEVIL'S MANHUNT is among them. 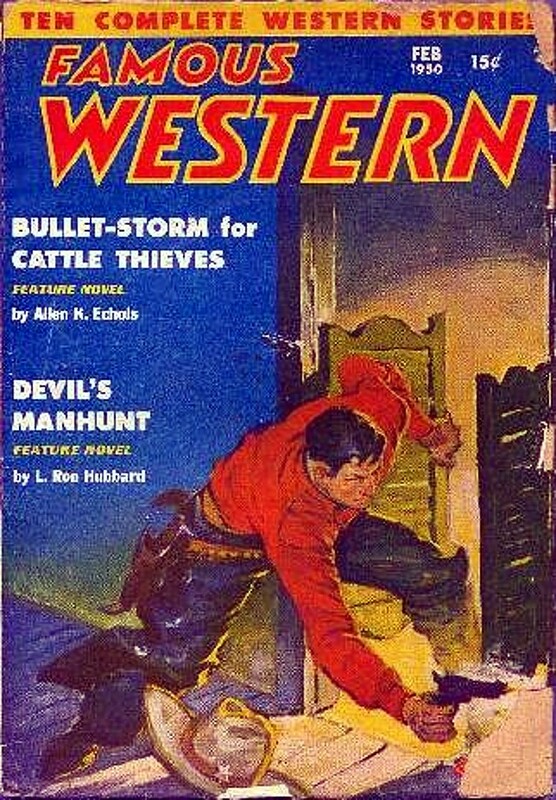 I've got copies of a few of his pulp reprints that I picked up years ago, plus some of the original pulps. I don't recall if FINAL BLACKOUT is one of them. I'll have to see if I can find where they ended up after the last move. The source for Scientology seems to be AE Van Vogt, who, unlike Hubbard, wrote sf fiction about higher mental states. And ended up abandoning his career to run a West Coast Dianetics branch. He never repudiated it, but left when Hubbard transitioned it into a religion. 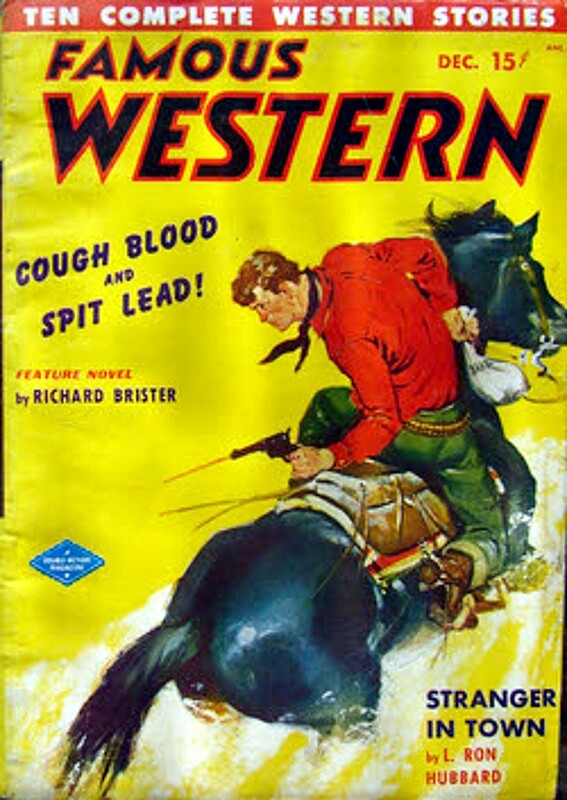 I've only read one of LRH's Western collections, but what I have read was perfectly fine. I got it cheap at Dollar General. Very nice printing production as well. I'm too familiar with Hubbard and Scientology/Dianetics to ever allow any of that stuff into my home.